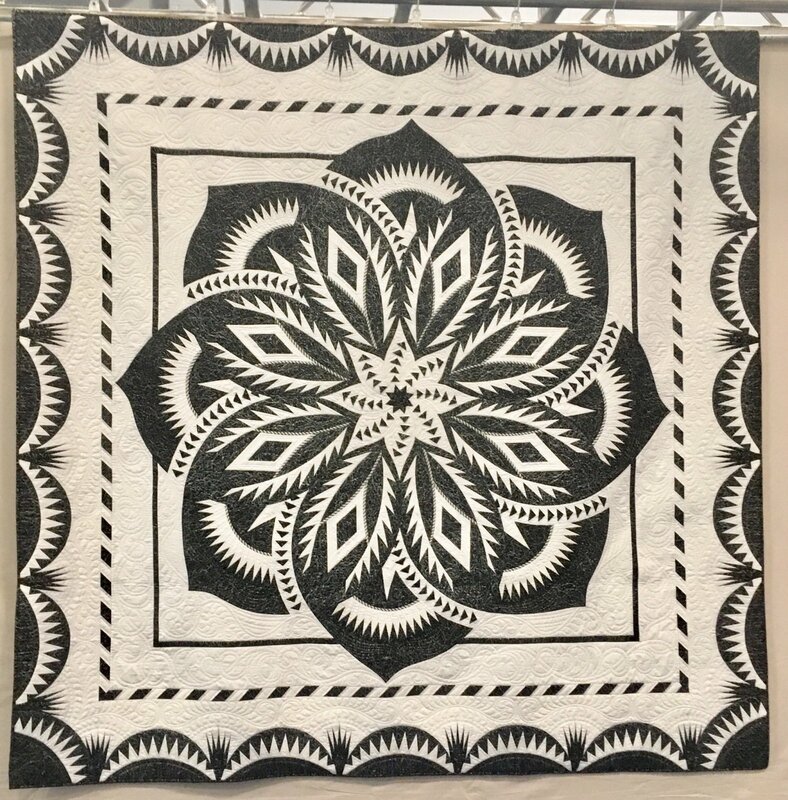 This magnificent quilt by certified Judy Niemeyer instructor Susan Deshensky won "Best of Show" at the Connecticut Piecemakers Quilt Show. It is a "technique of the month" pattern, which is designed to teach you six techniques during the course of six classes and prepare you to move on to many other patterns. You have the option of making one of two sizes: the small, which is 74" by 74", and the large, which is 97" by 97". Participation in the class requires the purchase of a pattern from the instructor ($78 for small or $95 for large) and a kit fee to the shop ($215 for small or 19 yards of fabric, $300 for large or 26-1/2 yards of fabric). There is a $5 per yard surcharge for each yard of digital fabric selected for your kit. When you register for this class, you will be paying the small quilt fabric fee. If you choose to make the large quilt, you will be charged an additional $85 at the time you select your fabric. The class fee of $300 will be charged to you over six months, from September 2018 to February 2019, at the cost of $50 per month.